Executive Producer, Director, and Writer Jennifer Lahl is founder and president of The Center for Bioethics and Culture Network. 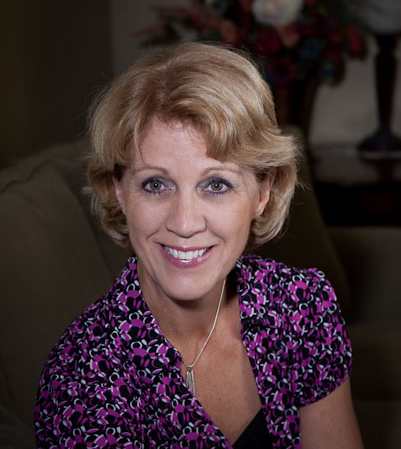 Lahl couples her 25 years experience as a pediatric critical care nurse, hospital administrator, and senior-level nursing management with a deep passion to speak for those who have no voice. Lahl’s’ writings have appeared in various publications including the San Francisco Chronicle, the Dallas Morning News, and the American Journal of Bioethics. As a field expert, she is routinely interviewed on radio and television including ABC, CBS, PBS, and NPR, and called upon to speak alongside lawmakers and members of the scientific community, even being invited to speak to members of the European Parliament in Brussels to address egg trafficking. She serves on the North American Editorial Board for Ethics and Medicine and the Board of Reference for Joni Eareckson Tada’s Institute on Disability. In 2009, Lahl was associate producer of the documentary film, Lines That Divide: The Great Stem Cell Debate, which was an official selection in the 2010 California Independent Film Festival. She made her writing and directing debut, producing the documentary film, Eggsploitation, which has sold in over 10 countries and is showing all over the U.S., since its August 2010 release. Director and Editor Justin Baird is a filmmaker based out of Los Angeles. He has written, directed, and produced various commercials, music videos, and viral videos and has recently completed production on a feature film. Justin was excited to step out of his regular diet of narrative and commercial videos to be a part of the whistle-blowing exposé Eggsploitation. Writer, Production Manager, and Graphic Designer Evan C. Rosa is Communications Director at The Center for Bioethics and Culture, and is a graduate of the University of California, Berkeley, where he studied philosophy and linguistics. He is currently pursuing a graduate degree in philosophy of religion and ethics at Talbot School of Theology. Evan blogs at Cultural Velocity. Communications Consultant Christina Grenier has over 15 years of corporate communications and public relations agency experience with the Fortune 500 and start-up companies, having worked for large tech brands such as HP, Oracle and BEA Systems. Throughout her career, Christina has developed and implemented many successful PR campaigns launching new companies and products, garnering media placements with the trade and business press. Additionally, Christina has managed marketing and fundraising activities for non-profit organizations including the American Cancer Society, Breast Cancer Connections, The Leukemia and Lymphoma Society, as well as for events for several Chamber of Commerce associations in the Bay Area. An advocate for women’s health issues, Christina has joined the CBC to direct to the national PR campaign for Eggsploitation. Christina holds a Bachelor of Arts in Communications from Saint Mary’s College in Moraga, California.